As part of our 10-year anniversary, The Condo Group made a list of community groups we wanted to partner with to spread some love in our fair city. 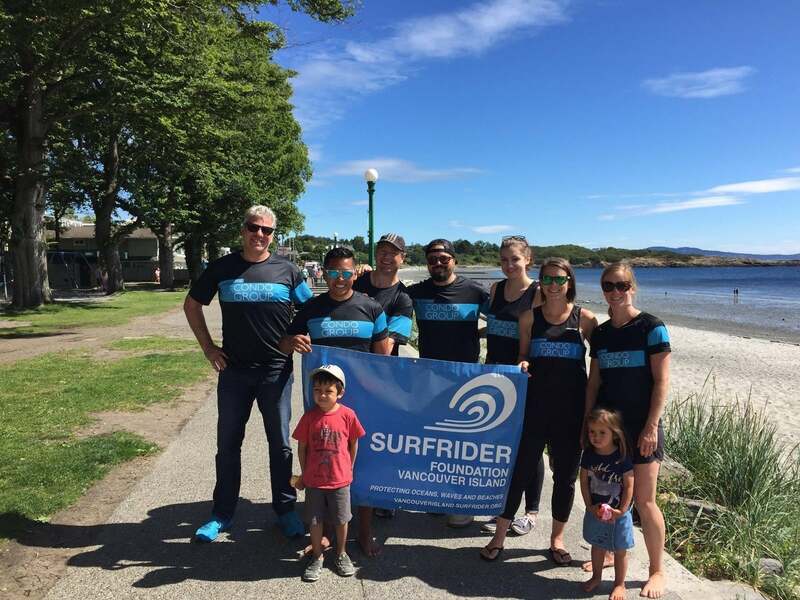 This past weekend, we partnered with Surfrider Foundation Vancouver Island and offered our time to clean up Willows Beach on the east side of Victoria. Their initiative, Combing the Coast, partners with BC Parks and the goal is to organize clean-ups on remote beaches and highlight and bring awareness to our everyday impact on our beaches and coastal areas. Pretty important, right? Surfrider Foundation’s mission statement says they are, “dedicated to the protection and enjoyment of the world’s ocean, waves and beaches through a powerful activist network,” becoming the champions of surf and sand. And it’s true. Comprised of 84 chapters and 50+ youth groups, they focus on beach access, clean water, cone protection, coastal preservation and plastic pollution. They want to leave the world’s beaches and oceans in pristine condition, helping to ensure we all can enjoy these remarkable spots for generations to come. Our team spent a beautiful, sunny Sunday afternoon together out on the beach collecting garbage and acknowledging just how lucky we are to live in this beautiful place. But that beauty doesn’t just stay pure. As technology and industries advance, our coastlines and beaches are threatened, and we’re the only ones who can protect these coveted areas. Whether you came out and helped us clean up, or even if you just now know about Surfrider Foundation, we appreciate it. It’s important to us here to spend time in the community and truly understand the value of calling Victoria home. We’re lucky, and we know it. What’s your favourite part about living here in Victoria? We’d love to here about it on our Facebook page.